Stephanie Rawlings-Blake, mayor of Baltimore, almost gets teary eyed when she talks about the need to rebuild her city with immigrants and refugees. It’s an issue that’s close to her heart, but the argument she uses is not new. It’s the same line that is touted by the mayors of other cities, mostly in the Rust Belt, like Baltimore, Minneapolis, Detroit and Pittsburgh. They crave a steady flow of new immigrants and refugees, they say, because their economies depend on it. Too many of the native-born middle class whites have long since departed for the suburbs. Baltimore, for instance, has lost a third of its population since 1950. Detroit has lost almost half of its population, and Pittsburgh has also struggled. The Economist magazine gave a large chunk of space in its latest issue to Rawlings-Blake and her vision of a multicultural Baltimore. “For more than a decade, Maryland’s largest city has been used as an entry point for refugees, with federal agencies led by the State Department sending 700-800 there each recent year from such troubled places as Nepal, Iraq and Eritrea,” the article states. But Baltimore has had trouble even retaining the refugees sent its way from United Nations camps in the Third World. About two-thirds of refugees sent to Baltimore moved on after a few years, according to the Economist. In fact, a coalition of 100 immigrant-supporting cities seem to be in competition with each other to see which city can offer the most services and benefits to attract foreign-born residents. They help them find jobs, overcome language barriers and work around employers’ demands for birth certificates or drivers’ licenses. There are also grants to help them get set up in a business venture. So it’s no surprise that Rawlings-Blake is one of the 100 U.S. mayors asking the Obama administration to send her city a fresh wave of Syrian refugees. She is one of 18 mayors who have written a letter to the administration expressing their desire for more refugees. The 18 mayors who signed the letter represent a total of 100 mayors with Cities United for Immigration Action. Syracuse Mayor Stephanie Miner is among those inviting Syrian refugees to her city, but it appears her constituents are not so excited about the prospect, judging by a recent letter to the editor published in the local newspaper that received 114 reader comments, most of them against the mayor. Syracuse has received so many Muslim refugees over the past decade that it recently converted one of its largest Catholic churches into a mosque, a project that was approved by the U.S. Conference of Catholic Bishops and funded by U.S. tax dollars, Robert Spencer reported in his blog Jihad Watch. Pittsburgh Mayor Bill Peduto is also waiting in line for Syrian refugees, 97 percent of which are Muslim, and the vast majority of those being Sunni Muslim, the same sect adhered to by ISIS, al-Qaida, al-Nusra Front, the Free Syrian Army and other factions trying to bring down the regime of secular dictator Bassur al-Assad. The security risks of importing Syrian refugees have been stated and restated by the FBI Director James Comey and his top counter-terrorism lieutenants. But the mayors, in their letter to Obama, make a special point to play down the security issues focusing instead on what they see as economic benefits. “The drive and enterprise of immigrants and refugees have helped build our economies, enliven our arts and culture, and enrich our neighborhoods,” states the mayors’ letter to Obama. The “national security systems in place” for Syrian Muslims have been publicly exposed as a sham by Comey, who testified before Congress less than two weeks ago that the U.S. government has no capacity to screen Syrian refugees. Pittsburgh’s Mayor Peduto is also one of the 18 U.S. mayors urging President Obama to accept more than his proposed number of 10,000 Syrians this fiscal year. Detroit has also put its order in for at least 4,000 Syrians, with the plea to Obama coming from Michigan’s GOP Gov. Rick Snyder and Democrat Mayor Mike Duggan. The 18 mayors said they would work to find space for refugees in their cities. Peduto said he has asked four resettlement agencies — Northern Area Multi-Service Center in Sharpsburg, Jewish Family and Children’s Services in Squirrel Hill, Downtown-based Catholic Charities of Pittsburgh, and AJAPO Refugee Immigration Services in the Hill District — to determine whether Pittsburgh has space for 500 Syrians. The smallest city on the list of 18 is tiny Clarkston, Georgia, a tiny town of 7,555 people east of Atlanta. By 2010 the local high school had students from more than 50 countries; a local mosque had 800 worshipers; and by some estimates, half the population was from outside the U.S. Only 13.6 percent of its population is White, and only 13.1 percent is Hispanic and 58 percent black. The remainder are foreigners from the Middle East and Asia. Economic benefits of refugees real or imagined? Ann Corcoran, a blogger at Refugee Resettlement Watch who has followed the refugee movement since 2007, said the economic benefits of immigrants are often vastly overstated because they rarely take into consideration the cost of building new schools, hiring new teachers and special language coaches and translators. “You know they’re not going to count the remittances that these immigrants send back home to their families, and I don’t think they include the school costs, so the only money I can see is the welfare money coming in from Washington, and of course that’s just going from one taxpayer pocket to the other,” Corcoran told WND. Refugees immediately qualify for federal benefits such as food stamps and Medicaid, and 73 percent of refugees receive federal food stamps while nearly a quarter live in pubic housing, according to the Congressional Research Office study. Among refugees from the Middle East, the number on food stamps is even higher, at 91 percent. A 2011 study by the Center for Immigration Studies shows that what the mayors’ hopes of reviving their cities through the importation of Syrian refugees is likely to be a pipe dream. “A longstanding part of U.S. immigration policy has been to admit persons for humanitarian reasons. As these individuals are fleeing persecution, they are likely to be the immigrants least prepared for a new life in this country. 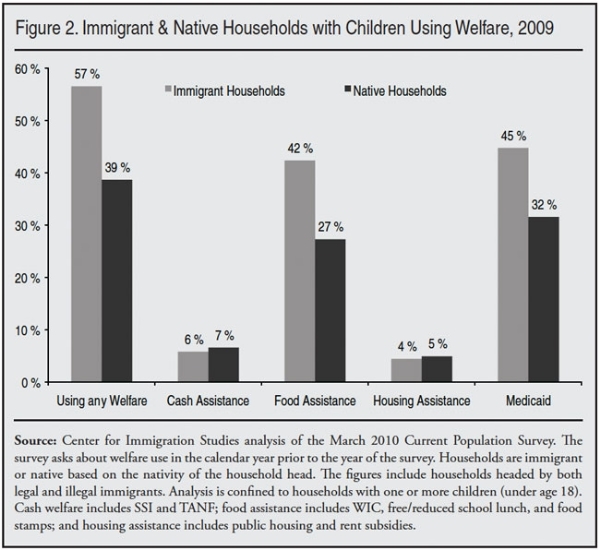 Moreover, refugees have somewhat more generous welfare eligibility than other legal immigrants. Thus, those admitted on humanitarian grounds would be expected to have the highest welfare use rates,” wrote Steven Camarota, author of the CIS study. 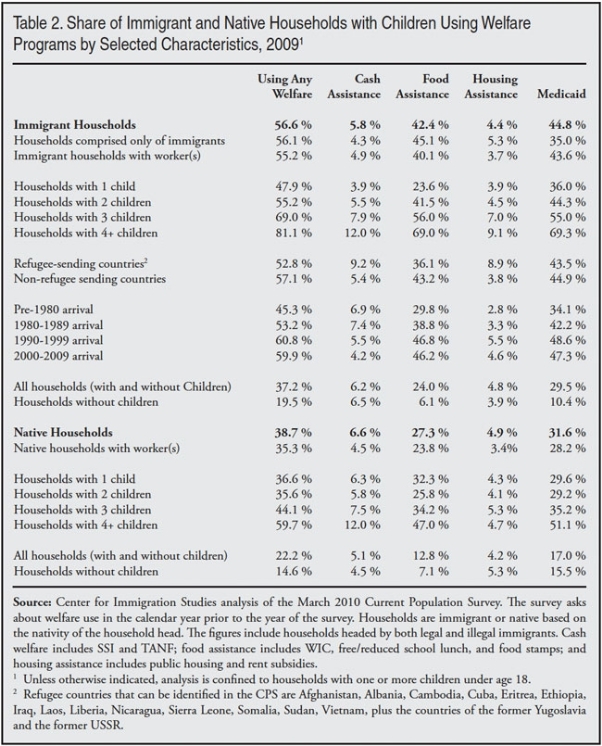 Table 2 shows welfare use for households with children headed by an immigrant from a major refugee-sending country. What’s more, Camarota said it’s not enough to argue that most immigrants work. Because they lack skills they most often work in low-wage jobs that require them to supplement their incomes with welfare assistance. “While advocates of expansive immigration often make this argument, it does not reflect the way the welfare system actually works. Moreover, it is not enough to point out that most immigrants work. Work and welfare often go together as our welfare system, particularly non-cash programs, is specifically designed to help low-income workers with children. On the other hand, it is a mistake to see high use of non-cash welfare programs by immigrant households as some kind of moral defect. It is also a mistake to compare today’s immigrants with those that arrived 100 years ago during the prior great wave of immigration. Welfare simply did not exist in the same way in 1910. Thus prior immigration is not relevant to the issue of current welfare use. Corcoran said if the mayors of these 18 questions are asking Obama to bring more Syrian refugees to the U.S., they should step forward and take them, all of them. The refugee resettlement agencies that work with the mayors have asked Obama to take 100,000 Syrians by the end of his term in office. Which makes Peduto’s offer of accepting only 500 seem paltry and disingenuous, Corcoran said. “It seems to me that if 18 mayors ask for 100,000 that means each of their 18 cities gets 5,555,” Corcoran writes.